Active Collagen Mask is specially formulated with collagen, Vit C, Vit E, hyaluronic acid and ceramide. 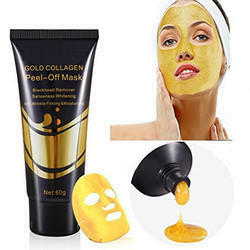 It serves as a multi-purpose paper mask to reduce fine lines and skin sensitivity by restoring moisture to the skin. The anti-oxidant agents also help in repairing damaged skin. Frequent usage will help to firm and revitalized the skin. For moisturized and light skin; Collagen, Hyaluronic Acid and Q10 offer a perfect combination. 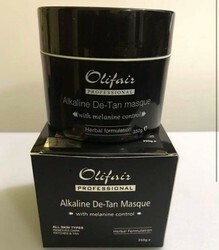 Each mask includes 15ml of ingredients which are directly applied over the surface of the face in order to have the ingredients focus on this important part of the skin. Ingredients : Extracts of Red Sandalwood, Saffron, Neem, Basil, Bengal gram, Methi seed, Ashwagandha roots, Orange peel, Almond, Nagarmotha, Kapurkachri, Jethimadh, Rose petal powder, Ambe haldi. - Made from wood charcoal and sea-weed collagen. Gets rids of shiny patches. Deeply cleanses control acne & pimples, minimizes large pores & gives even tone to the skin. - Oil free Moisturizer prevents skin over drying. - Smoothes skin and provides firmness & lifting effect.